The nearly two-decade long effort to have the nation’s highest combat decoration, the Congressional Medal of Honor, awarded to Clinton County native Garlin Murl Conner hit another stumbling block last week. A federal judge, U.S. District Judge Thomas B. Russell, issued an opinion last week in the case that wasn’t what local family and friends wanted to hear. Russell’s opinion notes that due to a technicality in the case regarding the amount of time that had elapsed between the occasions that evidence had been presented in the case, the statue of limitations had been exceeded and that violation would prevent the matter from being considered now or in the future. However, Conner’s widow, Pauline Conner, expressed her dismay at the development during a phone conversation this week with the Clinton County News, and she vowed that this latest development, regardless of being a disappointment, would in no way end her nearly 20 year-long battle. She added that she had not been notified of the ruling officially by the judge or court system, but had instead learned of the recent development from news accounts. Conner, who fought in World War II, serving with the 3rd Infantry Division, ended up being the second most decorated soldier from that war. 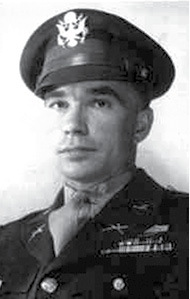 During his service, which included battles in France and Europe, he was awarded four Silver Stars, four Bronze Stars, seven Purple Hearts and the Distinguished Service Cross. At one point after being wounded, Conner “slipped away” from an Army hospital while recovering from battle wounds to keep from being sent home to Clinton County, instead returning back to the front lines of battle. The effort to have the Medal of Honor awarded to Conner has involved a host of local, state and national figures in addition to his family and friends. Richard Chilton, a former soldier who served with the Green Berets and later became involved in military history, researched Conner’s military career several years ago, and was one of the leaders in the effort of going after the Medal of Honor for Conner. Chilton made a presentation locally concerning Conner’s military service to a crowd gathered at Clinton County High School several years ago, at which time he also presented the Conner family with a copy of his research findings. According to an article issued last week by Associated Press writer Brett Barrouquere, Chilton vows to continue to work toward having the Medal of Honor awarded to Conner by reaching out to lawmakers and veteran groups in all 50 states, requesting resolutions in hopes of having Congress to act on Conner’s behalf. “I want to make sure they can’t walk away from this” Chilton was quoted as saying after learning of the ruling by Judge Russell. After returning to Clinton County following his service in World War II, Conner spent the rest of his life farming with his wife, Pauling, and working to assist other veterans as a Volunteer and Service Officer with the Veterans of Foreign Wars (VFW) organization. He was also heavily involved with the Clinton County Farm Bureau, serving as that organization’s president for many, many years. He and his wife, Pauline, eventually farmed in the Concord Community of south-east Clinton County. Their son, Paul Conner, and his wife Kathy, also raised their family in the same Concord Community, where they still reside. Garlin Murl Conner, who was known here simply as “Murl” died in 1998.